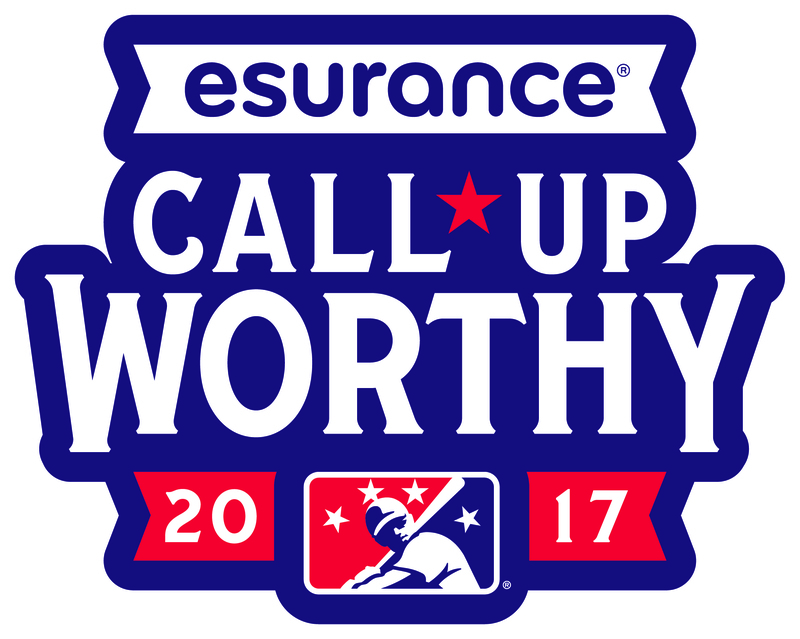 SAN FRANCISCO, CA and ST. PETERSBURG, FL--(Marketwired - April 17, 2017) - With the start of the Minor League Baseball™ (MiLB™) season, Minor League Baseball celebrated the first group of Esurance #CallUpWorthy players of 2017. A total of 30 players made their Major League Baseball® debut between April 2 and today, and are being featured on the Call-Up Worthy Central website at MiLB.com. The enhanced site includes new features for 2017, where fans can see real-time call-ups and read players' stories as they follow the rising stars of baseball. Through player-centric content compiled in one place, fans can follow each player's journey to "The Show," and read about top prospects. "Through our MiLB and MLB partnerships we're able to connect our brand with consumers through their passion for baseball at relevant, timely moments throughout the year," said Nancy Abraham, Vice President, Integrated Marketing Communications at Esurance. "We're looking forward to continuing our partnership this year and strengthening the integration between our Minor League and Major League efforts." Last June, Esurance and Minor League Baseball announced a multi-year partnership making it the exclusive home and auto insurance partner of Minor League Baseball. Together they created the Esurance Call-Up Worthy platform, which launched exclusively on MiLB.com and MiLB team websites. The platform celebrates the iconic moment in Minor League Baseball when a player is called up to Major League Baseball®, highlighting his journey through shareable digital and social content such as virtual trading cards, video highlights and the Esurance Farm Report. "The first few weeks of the season have already proven that we're in for another exciting season of watching baseball's stars of tomorrow get the coveted call-up and begin to live out their dreams of reaching the Major Leagues," said David Wright, Chief Marketing & Commercial Officer for Minor League Baseball. "Through the Esurance Call-Up Worthy campaign, we continue to celebrate these prospects, while giving fans the opportunity to share in each player's journey." 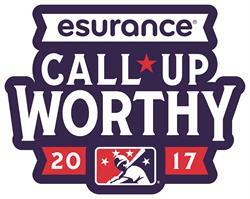 To keep up with all the action as your favorite players follow their #CallUpWorthy dreams to the Big Leagues, visit www.MiLB.com/CallUpWorthy. The Esurance Call-Up Worthy campaign has garnered several national awards and recognitions, including Esurance being named one of five finalists for Best Sports Sponsor at the SportBusiness Journal Sports Business Awards. The winners will be announced at the annual Sports Business Awards ceremony on May 24 at the New York Marriott Marquis at Times Square. Additionally, Minor League Baseball received the ADchievement Award for Best in Social/Mobile Media at the National Sports Forum in February. Esurance, insurance for the modern world®, provides auto, homeowners, motorcycle, and renters insurance direct to consumers online and over the phone. With an easy-to-use mobile app, helpful online tools like photo claims and Coverage Counselor®, and knowledgeable experts, Esurance is the smart choice for today's web-savvy consumer. And as a member of the Allstate family, Esurance offers auto and home insurance with just a click, call, or tap away. For more information, visit esurance.com or call 1-800-ESURANCE (1-800-378-7262).